To be chosen as a Rhodes Scholar is to join the company of a highly select group: former scholars include presidents, prime ministers, ambassadors, archbishops, authors, judges, and other important figures. Over 7,000 individuals have received the world's most prestigious scholarship in the century since Cecil John Rhodes, the British-born founder of the De Beers diamond company, established through his will the Rhodes Trust and Rhodes scholarships. This fascinating history traces the evolution of the Trust and its scholarship program from Rhodes's vision in 1902 to the new world of the twenty-first century. Rhodes specified the criteria for selecting scholars, stipulating public service as their highest aim. An avowed imperialist, he dreamed of a white masculine Anglo-Saxon hegemony that would lead to world peace and prosperity. 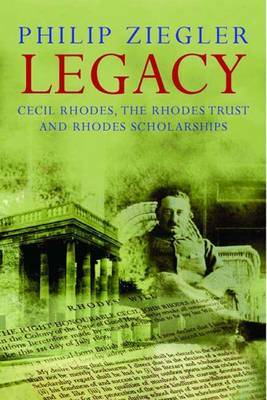 The book explores how the organization changed after the Empire faded and how Rhodes's vision has been made relevant today, particularly through the vital contributions of the Mandela Rhodes Foundation in South Africa.